The practice of medicine and healthcare in general has become an electronic and increasingly mobile interaction. Patients are better informed, more engaged, more connected and have a much greater virtual presence. In fact, according to Pew Research data, the fastest growing demographic on Twitter are those who are in the 45-65 age bracket. Nearly 50% of all seniors engage online on a daily basis through at least one social media platform and many of these interactions and online engagements occur via mobile devices. Almost 75% of all adults go online within hours of attending a visit with their physician in order to gather more information about their particular medical problem. For healthcare providers—and for patients—the internet and mobile technology presents us all with wonderful opportunities to interact, engage, support and ultimately improve outcomes. New connected devices and medical applications for mobile devices are on growing exponentially. The world responded favorably to the latest release of the iPhone 6 and the iOS8 operating system recently released by Apple. The new device has many interesting features but one in particular caught my eye early on. Apple has created a standard package for all iOS 8 devices that is called the Health Kit. This particular application allows a user to track calories, steps taken (similar to a pedometer), flights of stairs climbed and other customizable health related data points. These data can be organized into graphs and charts that allow users to track progress and adjust activity levels to achieve particular goals. More impressively, the device will allow other health related applications to organize data in the Health Kit as well. One of the biggest problems with medial applications in the past is that there has never been an easy place to organize, store, collect and view all of the data together. Moreover, this data is not easily shared with healthcare providers. The Health Kit and Apple may revolutionize this entire process of data collection, retrieval and sharing—Apple has partnered with a major electronic medical record service known as EPIC. Work is underway to allow the Health Kit data and applications to easily interact with the EPIC medical record. This would allow for easy downloads of health data during a face-to-face encounter with healthcare providers. Currently, most major hospitals and healthcare systems are moving to the EPIC platform. The data collected and downloaded at one location would subsequently be available to all providers in the system—portability of data allows for better care and less duplication of effort. Much has been written about patient engagement and improved outcomes in the medical literature. I can think of no better way to improve engagement than through the use of real time health applications –these allow patients to receive real time feedback—both good and bad—and respond quickly in order to improve their overall health status. I think that this type of technology will only continue to grow. Apple plans to release the Apple Watch in early 2015. I expect that this will also be integrated with Health Kit and allow for the measurement of respiratory rate, heart rate, body temperature and other biologic measurements. As these tools continue to develop and applications grow, healthcare providers as well as patients must be receptive to their use. These technologies have the potential to allow clinicians to better assess patients between office visits and provide more directed and timely changes in therapy. Ultimately I believe these technologies will transform healthcare. As we continue to struggle with healthcare cost containment in the era of healthcare reform, the ability to shift care and routine interaction to mobile platforms may very well prove to be a critical piece of the puzzle. This is an exciting time in medicine as well as in healthcare technology. Moving forward, I look to a day where biologic sensors collect data, relay data to mobile devices and then transmit information seamlessly to healthcare systems. The healthcare providers are alerted to any abnormalities and electronic responses are generated—those patients requiring timely in person visits can be identified and scheduled, while those that can be handled virtually can be managed quickly and effectively as well. Ultimately, our goal is to better manage disease and improve outcomes. I think that technologies such as the Health Kit and the Apple Watch are giant leaps forward and are just the beginning of a new age of virtual healthcare. Turf Battles and Collateral Damage: Are We Really Putting the Patient First? Last week, Medpage Today reporter Sarah Wickline Wallan tackled a very controversial issue in medical practice. In her piece, Ms Wallan explores the ongoing battle between Dermatologists and AHPs (Allied Health Professionals) over the performance of dermatologic procedures. As independent NPs and PAs begin to bill for more and more procedures (thus potentially talking revenue away from board certified Dermatologists) specialists are beginning to argue that the AHPs are practicing beyond their scope of practice. According to the Journal of the American Medical Association, nearly 5 million dermatological procedures were performed by NPs and PAs last year–this has Dermatologists seeking practice limits–ostensibly to protect “bread and butter” revenue streams from biopsies, skin tag removals and other common office based interventions. In response to this controversy and the article, I was asked to provide commentary for Med Page Today’s Friday Feedback. Each week, the editors at MPT discuss a controversial topic and have physicians from all over the country share their feelings on the issue in order to provide readers with a mulit-specialty perspective. This “Friday Feedback” feature is typically released on the web near the end of the day on Fridays and often spurs a great deal of social media activity and discussion. Based on reaction to Ms Wallan’s article our topic this past Friday was “Specialty Turf Battles”. Each respondent was asked to provide commentary on the growing angst between Dermatologists and Allied Health Professionals. As I began to reflect on the issue itself and its potential impacts on all aspects of medicine, I felt that a complete blog would be a more complete forum to discuss my thoughts. First of all I want to say that AHPs are essential to providing care in the era of the Affordable Care Act. NPs and PAs are able to help meet the needs of underserved areas and do a remarkable job complementing the care of the physicians with which they work. With the rapidly expanded pool of newly insured, as well as the increase in administrative tasks (electronic documentation) assigned to physicians, AHPs must help fill in the gaps and ensure that all patients have access to care. In my practice we are fortunate to have many well qualified AHPs that assist us in the care of our patients both in the hospital as well as in the office. We must remember, however, that physicians and AHPs have very different training. Each professional posses a unique set of skills and each skill set can complement the others. Many of us in specialty areas spend nearly a decade in post MD training programs and learn how to care for patients through rigorous round the clock shifts during our Residency and Fellowship years. In addition, we spend countless hours performing specialized procedures over this time and are closely supervised by senior staff. Most AHPs, in contrast, do not spend time in lengthy residencies and often have limited exposure to specialized procedures. Turf battles have existed for decades and are certainly not limited to Dermatology–nor or they limited to MDs vs AHPs. In cardiology in the late 1990s, for instance, we struggled with turf battles with Radiology over the performance of Peripheral Vascular Interventions. In many areas, these battles resulted in limited availability of specialized staff to patients and a lack of integrated care. Ultimately, the patients were the ones who suffered. Fortunately, in the UNC Healthcare system where I work (as well as others across the country) we have taken a very different approach. After observing inefficiencies and redundancy in the system, several years ago our leadership (under the direction of Dr Cam Patterson) decided to make a change. The UNC Heart and Vascular Center was created–Vascular surgeons, Cardiologists, Interventional Radiologists, and Cardiothoracic surgeons–all working under one cooperative umbrella. Patients are now discussed and treated with a multidisciplinary approach–Electrophysiologists and Cardiothoracic surgeons perform hybrid Atrial Fibrillation ablation procedures, Vascular surgeons and Interventional Cardiologists discuss the best way to approach a patient with carotid disease–all working together to produce the BEST outcome for each individual patient. We have seen patient satisfaction scores improve and we have noted that access to multiple specialty consultations has become much easier to achieve in a timely fashion. Most importantly, communication among different specialties has significantly improved. Unfortunately, with the advent of the ACA and decreasing reimbursement I suspect that turf battles will continue. Financial pressures have become overwhelming for many practices and the days of the Private Practice are limited–more and more groups will continue to “integrate” with large hospital systems in the coming years. Specialists such as Dermatologists and others will continue to (rightly so) protect procedures that provide a revenue stream in order to remain financially viable. However, I believe that our time will be better spent by working together to improve efficiency of care, quality of care and integration of care. NPs and PAs are going to be a critical component to health care delivery as we continue to adapt to the new (and ever changing) ACA mandates. We must put patients FIRST–turf battles and squabbles amongst healthcare providers will only limit our ability to provide outstanding, efficient care. Let’s put the most qualified person in the procedure room–and make sure that ultimately patients get exactly what they need. Medicine is becoming mobile. Physicians, nurses and other healthcare providers must be able to quickly assimilate and react to an overwhelming stream of data. Tablet technologies, such as the Apple iPad, have been incorporated into the workflows of many clinics, emergency rooms and hospitals. Medical Schools and Residency programs are quickly adapting the technology for teaching. While tablets do present some security challenges, most clinicians who are currently using them tout them as revolutionary and efficient. Moreover, there appear to be many new medical uses for tablet technologies in the pipeline that may forever change the way medicine is practiced. Many hospitals are now using tablet technology to help physicians and other treatment team members prepare and interact with patients while on the move. With healthcare reform and cost containment strategies, many hospital systems are looking for ways to streamline care and cut costs. Potential advantages of tablet use include the ability to improve workflow on rounds, reduce staffing requirements, and increase productivity and efficiency without compromising patient outcomes. In many centers, physicians are able to “sync” their devices wirelessly or via sync stations located throughout the hospital. Rather than moving to a computer terminal to sit down and review labs, consult notes, test results, etc, a team can move through the hallways and discuss these findings via an interaction on the iPad. There is virtually no downtime and less staff is required to see patients in an efficient way. When interacting with patients in their room, caregivers can actually show them images and results and discuss findings with them. 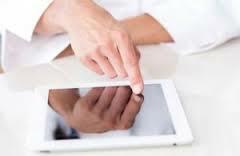 In fact, a recent study from the University of Sydney showed that secondary review of radiology study images on an iPad was just as good as a standard LCD computer screen. For patients, it improves education and engagement in the care plan when they are able to see an image or test result as they discuss the finding with their providers. When patients have a better understanding of their medical problem and are able to participate in their treatment plans, outcomes improve. Tablet technology helps facilitate this type of engagement. Some centers are incorporating their EMR (electronic medical record) into the tablet via a mobile application and this allows for quicker documentation and immediate record of the day’s plan for the patient–available for all team members to access “real time”. The EMR mandates put in place by the federal government have become a burden to many facilities and providers–by interfacing with these technologies via tablet technology, adoption of EMR and efficiency of documentation may improve. As with any computerized medical record or medical application, security and HIPPA regulatory compliance are always a concern. In addition, the small size and mobility of the iPad device makes keeping the devices in the hospital a challenge. Although several major academic medical centers, including Massachusetts General Hospital have begun to incorporate tablet technologies into their practice, many others have not due to the cost of stocking the institution with the relatively expensive devices. Now, many EMR companies, including EPIC (a major EMR player in academic centers) have created secure applications for tablets and other mobile devices that protect privacy and are HIPPA compliant. Tablet Technology: Future Applications in Medicine? At this point, we are only seeing the tip of the iceberg when it comes to mobile technology in medicine. Tablets are very powerful, portable, and user friendly. I believe that these devices will become standard issue in medical schools across the country. Rather than spending 1000 dollars per student on printed materials for a year of medical education, schools such as the Yale University School of Medicine are now issuing iPads to all students and utilizing the iPad for nearly all curriculum related materials. According to the AAMC, tablet technology is being adopted all over the country and is being used to replace reams of learning materials on paper. In a recent survey of medical students published in the Journal of the American Medical Library Association, most students go utilize electronic based medical resources at least once a day and over 35% use a variety of mobile devices to access information. Applications continue to be developed that have important educational roles in medicine–apps for learning EKGs, reviewing histology, learning pharmacology and others are becoming mainstream and will likely be an integral part of medical education going forward. A recently published study in JAMA: Internal Medicine evaluated the changes in resident efficiency when using iPad devices for clinical work. In the study, the authors found that the utilization of mobile devices improved workflow and both perceived and actual resident physician efficiency. In fact, orders on post call patients were placed earlier–before 7am rounds–likely resulting in improved care and more timely delivery of medications, treatment plans and orders for diagnostic studies. For patients, tablet technologies may improve their visit experience and may help reduce medical errors. I can foresee a clinic where patients check in for their appointment and are given an iPad to fill out forms and answer a wellness screening questionnaire prior to their visit with their primary care doctor. With more “meaningful use” requirements imposed by government bureaucrats, these electronic screening opportunities will allow clinicians to not only meet regulatory requirements but also continue to spend meaningful time with their patients during a visit. In addition, patients can have the opportunity to review imaging with their clinician at their side and actually “see” what the doctor is able to see. For physicians, the possible applications of tablet technologies are endless. Ultimately, I believe that these mobile technologies will revolutionize medicine and allow for care to be provided to patients who have previously been underserved. Tablet based electronic patient encounters are on the horizon. As physicians we must ensure that we continue to embrace technology and we must not resist change–medicine remains both a science and an art. We must continue to strive to incorporate BOTH technology and human touch into our patient encounters. Change is coming–we must adapt and embrace these technologies in order to provide our patients with the healthcare and caring that they deserve. As a child, I often watched science fiction movies and television shows wondering how much would become reality in my lifetime. From space travel in Buck Rogers and Star Trek to time travel in Back to the Future, I often imagined growing up in a world where the impossible became probable. 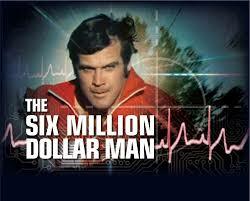 Bionics and the repair of human tissues was captivating and the Six Million Dollar Man (and its spin-offs) became a hit series. (we never missed an episode on Friday nights in my house!) Now, much of what was thought to be science fiction is becoming a reality in today’s world. No other discipline has seen science fiction become reality and produce human impact as readily as the medicine and the treatment of human disease. Medicine is becoming increasingly “electronic” and patients of all ages are more consistently “wired” through the use of the internet, mobile devices and mobile applications for health. Patients are able to track health status, blood pressure, blood glucose and other indicators via their smartphones. This ability to track and transmit data is important to streamlining care and improving the efficiency of the doctor patient interaction. Hospitalizations are prevented through early intervention when physicians and patients have access to data while the patient is still an outpatient. For example, many implantable cardioverter defibrillators (ICDs) and pacemakers have diagnostic sensors that can transmit important information to clinicians and allow for the outpatient adjustments of medication before the patient reaches the point where hospitalization is necessary for congestive heart failure and other cardiovascular diseases. Now, researchers are beginning to develop small, unobtrusive diagnostic tools that have the potential to not only transmit health status but also deliver therapy. In Monday’s Wall Street Journal, author Robert Lee Holtz reports on implants that are as thin as tattoos that are able to collect, process and respond to health data. Even more impressive is the fact that in early clinical trials, some of these sensors are able to deliver medications and therapies in response to the collected biologic information. The biophysics of personalized medicine is upon us–experiments are being conducted in laboratories all over the country in order to design miniature, accurate, responsive sensors that can easily integrate with the body and dissolve when no longer needed. In fact, as reported in the Journal, current experiments include using digital technology sensors on eyes for glaucoma, wrapping around hearts in need of a pacemaker and implants that control pain after surgery. These types of technologies, while potentially years away from routine human use, represent a major shift in the way in which doctors are able to care for patients. We are becoming increasingly web savvy–at all ages and in all demographics. As a society, we must accept more individual accountability and responsibility for our own healthcare in order to help contain costs. New developments such as implantable sensors and drug delivery systems may help doctors treat more diseases remotely and avoid costly hospitalizations. For patients, increased education, increased self awareness and the ability to receive real time feedback from therapies may improve their ability to make lifestyle adjustments and improve their own health status. As I have said many times in my blogs, engaged patients enjoy improved outcomes. New technologies such as tiny implantable sensors and drug delivery systems will allow patients to connect like never before. I look forward to a future where devices are individualized and personalized for each patient’s particular disease process and needs. I believe that it will not only be important for physicians to be able to interact with the biologic data BUT also for patients to receive and interpret this information via a smartphone, computer, tablet or other mobile device in order to make adjustments and prevent complications or exacerbations of disease. Although we don’t have Steve Austin or the Six Million Dollar Man with us, we do have the technology to make all of us Better, Stronger and Healthier. The Age of Digital Medicine is here–we must embrace these new technologies and promote their development and deployment in the marketplace in order to improve the lives of our patients TODAY. Just as elite athletes are born with amazing skill, elite surgeons and doctors in other procedure-based specialties are also equipped with innate abilities that others do not possess. Surgical skill is often difficult to quantify. Certainly, outcomes data can be obtained and reputations are formed over time. Years of training allow the truly gifted surgeons to develop their skills and perfect their craft. However, all surgeons are not created equal. During training, residents and fellows learn by watching the senior staff. As they progress in training they begin to perform procedures with guidance and as they near the end of their training they are working independently with minimal oversight. Once training is over, most surgeons have little or no opportunity to continue to improve their skills. So, how can we best evaluate surgeons and allow patients to make more informed decisions? For patients, it can be difficult to choose a competent surgeon. Last week in the New York Times, the issue of how a patient may best evaluate a particular surgeon’s skill was discussed. Surgery can be life-saving in certain situations but every procedure has finite risks associated with it. Complications associated with a particular procedure are issues that patients must consider when choosing a doctor. The best physicians have learned to minimize complications and are also adept at dealing with them quickly and effectively when they do occur. Certainly, metrics such as board certifications and memberships in professional organizations (such as the American College of Cardiology) can provide some guidance. However, most measures of surgical ability are purely indirect–board exams containing multiple choice questions and oral exams just aren’t enough. In residency and fellowship, a trainee can complete all of the requirements of the the ACGME and be declared graduated–even with substandard surgical skills. Now, a new study published in New England Journal of Medicine explores a new more direct and objective way to evaluate surgical skill. Previous studies have focused more on what surgeons may do before or after surgery in the care of their patients and very little focus was placed on what exactly was done in the Operating Room. In the new study, researchers brought together a panel of expert surgeons to evaluate 20 other surgeons ability thru the use of videotapes of the same surgical procedure obtained from the Operating Room. The researchers found that there was a large variance in skills–the evaluators commented that the surgeons rated the lowest had skills similar to those of trainees and that those at the highest end of the ratings were considered “masters”. For the first time a study now shows what has been intuitive for years–the dexterity of a surgeon makes all the difference in outcome. The surgeons rated in the lowest quartile took 40% longer to complete their procedures and had much higher complication and mortality rates. Moreover, those in the highest rated quartile had much lower rates of readmission and re-operation rates. In addition to evaluation of skill through video review another very reliable source of information is the opinion of the nurses and support staff that work with the surgeons on a daily basis. Experienced OR nurses are very good at rating the talent of the operating physician. They quickly recognize gifted hands and can easily point out those that are not. However, there is no mechanism in place for other staff to provide feedback to a particular surgeon. As we continue to work towards healthcare reform, assessing the skill and effectiveness of physicians will be an important part of cost containment. Significant complications and negative outcomes are costly to both the patient as well as the healthcare system as a whole. Objectively evaluating surgical ability may transform the way in which patients and insurers are able to choose physicians to care for themselves and their families. As physicians we have a responsibility to provide the very best care for our patients. We must use every tool possible to ensure that we can continue to improve our skills as we progress in our careers. Evaluations such as video observation should be incorporated into training programs and may also play a role in continuing education for physicians throughout their careers. Ultimately we must protect patients and improve outcomes–Primum non nocere. 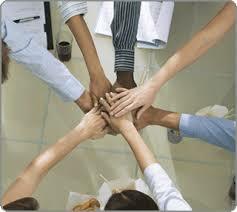 Have you ever taken note of how much you or a colleague says “I” versus other pronouns? The pronoun that you choose in conversation may very well provide insight into your psyche and may determine your effectiveness as a leader. Current research has indicated that the frequency at which an individual uses the pronoun “I” speaks volumes about their self confidence, level of empathy and perceived status within an organization or group. As physicians and members of teams of providers we function in groups in order to provide care to our patients on a daily basis. How effectively we interact with patients, nurses, technicians and other providers may significantly impact the outcomes for our patients. This research, which was published in Journal of Language and Social Psychology in the last month may provide important insight into how we can better function as physicians, team members and leaders in medicine. The Wall Street Journal‘s Elizabeth Bernstein explored the potential impact of the newly published studies on pronoun use in her column just this week. Researchers tested subjects in five separate studies and examined the way in which status or relative rank was reflected in the frequency at which subjects used the pronoun “I”. The findings were quite interesting—those who used the pronoun “I” often felt subordinate or less sure of themselves. In addition, those that used frequent “I’s” were more introspective, self conscious or in emotional or physical pain. Surprisingly, those that were “full of themselves” and even narcissistic did not use “I” nearly as much. In contrast, those that were more self assured, and possessed higher job status used the word “I” with much less frequency. In a separate study, the use of the word “I” was also associated with those who were telling the truth–those who avoided the using it were found to be less genuine and were often hiding something. When resolving conflict, psychologists have often encouraged those in group therapy to use the pronoun “I” when discussing conflicts and feelings. For years, marriage counselors have advocated the use of the word “I” rather than the word “you” during feedback sessions as “you” is often perceived as more accusatory. Confusing? “I” think so. But, as study author Dr James Pennebaker mentions there is an enormous misconception about the use of “I”– those in power or positions of authority do not use it more. In fact, those that are in power were found to use it less because they seem to be more interested in looking out at the world and figuring out their next strategic move– while those in more subordinate positions were found to be simply looking inward and trying to please others. In today’s medical world, the focus on care is on the team (the “We”) rather than the “I.” A major shift in approach to patient care has occurred in the last decade –individual disease states are managed by teams of caregivers composed of varying job titles, provider roles, and medical specialties. 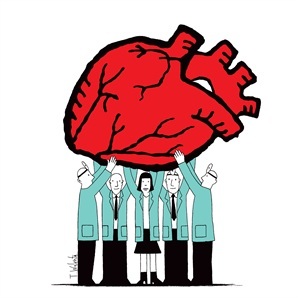 Even physicians from varying specialties such as radiology and cardiology are working together to provide multidisciplinary approaches to disease management. Discussions of best practice and hybrid approaches across specialities are now commonplace and are resulting in improved outcomes. For example, at the University of North Carolina at Chapel Hill, we have created a Heart and Vascular Center where radiologists, cardiologists, vascular surgeons, cardiothoracic surgeons and heart failure specialists see patients together and develop care plans in concert–no longer are different specialties competing for cases and arguing over alternative approaches to management. In our institution, care is becoming more streamlined and through cooperation and academic discussions amongst providers, patients are receiving the best treatment options available essentially tailored to their particular clinical situation. So, what exactly do we as healthcare providers do with this information from the pronoun study? Admittedly, much of it is confusing (except to the Psychologists) but the bottom line is that we must pay careful attention to the pronouns that we use and how we may be perceived by both those we lead and those whom we follow. As leaders and as team members, how we are perceived by others may be a critical factor in our ability to function most effectively and care for our patients at the highest levels. High level, effective communication with patients, nurses and other healthcare providers is essential. In addition, we must also take note of the ways in which others communicate in order to maximize everyone’s contribution. What is the bottom line? Dr Pennebaker recommends that we all try to use “I” a bit more. According to his work, it makes you appear more humble as well as more genuine and more engaged. Using “I” allows others on the team to see humanness and vulnerability in their respected leader–this fact alone may provide more connection and more inspiration among those with whom you work. In today’s healthcare environment, we are all driven to see more patients in less time and do more with less support. Obviously most of this is financially motivated–the delivery of medical care had unfortunately become more of a business than an art. As more physician groups are now owned by hospital systems, the “bean counters” and administrators are now crafting the rules of engagement. Physicians no longer have the luxury of time for a leisurely patient visit. No longer do we have the time to routinely ask about the grandkids and the most recent trip that our favorite patients have taken in their retirement. Ultimately, it is the patient who suffers. Those who are ill and those who love them often need more than pills, blood tests, IV fluids and heart monitors–they need support and genuine caring. These patients and families need a doctor or other healthcare provider to sit on the edge of the bed and unhurriedly listen to their concerns –to simply chat for a bit. Unfortunately, this is no longer the norm. Luckily, we have dedicated caregivers on the front lines in our hospitals who can often fill the gap–nurses. I was moved last week as I read a wonderful article in the New York Times by Sarah Horstmann. In the essay, Ms Horstmann (a practicing Registered Nurse) describes her special connection to a few patients and their families on the orthopedic unit in which she works. Ms Horstman chronicles her struggle with remaining objective and professional in her role as nurse when she becomes emotionally invested in her patients. She paints a picture of an engaged and caring nurse who is able to put everything on the line for her patients. Her internal struggles with “crossing the line” in her care for the patient is one that we all as healthcare providers have faced at one time or another. However, she handles her feelings and her patients with absolute grace. We can ALL learn a great deal from Ms Horstmann. We should all strive to feel and care as deeply as she does. Our patients and the care we will provide them will certainly benefit greatly. In my experience in medicine, it is the nurses that often lead the way for all of us. I have particular poignant memories from my training of nurses on the hospice care unit at University of Virginia hospital These nurses set a remarkable example of compassion and connection. I have been forever impacted by witnessing true caring–crying, grieving and comforting dying patients and their families. As a whole I have found that many nurses go beyond what the physician is able to do in short encounters. Nurses spend the time required to get to know the patient–their fears, their thoughts about disease, their thoughts about their own mortality. Nurses understand family dynamics and can help in managing difficult family situations. Nurses make sure that above all, the patient comes first–no matter what the consequences. The very best nurses that I have worked with over the years are ADVOCATES for those who are too scared or too debilitated to advocate for themselves. Many times early in my career, I did not pay attention or listen to the lessons that were all around me on the hospital wards. However, as I approach mid-career I am much more attune to these very same lessons that I may have missed earlier. There is much gained when we watch and listen to others who are caring for the same patient–maybe in a different role–but caring for our common patient nonetheless. I now realize that nurses have “shown me the way” many times and for that I am truly grateful. In my opinion, emotional investment and developing patient connections can improve care and assist patients and families with acceptance and with eventual grieving and loss. I believe developing bonds with patients is a wonderful expression of love for another human being and is completely acceptable in medicine–as long as we are able to remain objective when critical clinical decision making is required. In medicine we strive to provide excellent care for all patients but every now and again there are special patients that we develop emotional bonds with. Just as in everyday life, there are certain people that you are able to connect with in a spiritual way–whether they are co-workers, colleagues, friends or significant others. We must stop and appreciate the way in which nurses provide care–we can learn a great deal from them and ultimately provide more “connected” care for our patients. So, next time you are in the hospital, find a nurse. He or she will likely be haggard from running from room to room, and it is likely that they have not stopped to eat lunch. Thank them for caring for our patients. 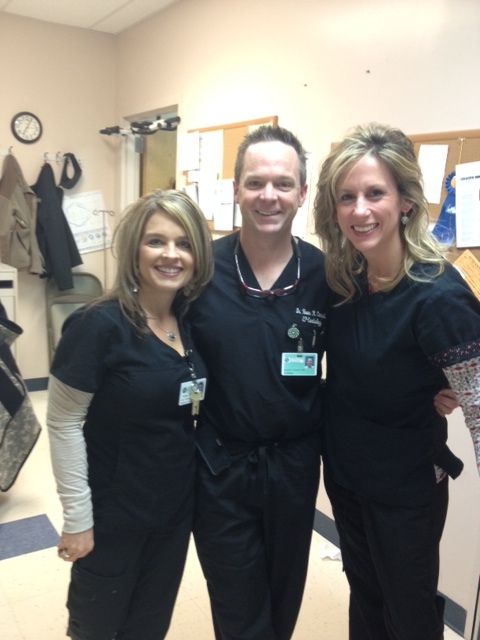 Thank them for showing us all how to provide better care for our patients. Then, stop in and say hello to your patient–sit on the edge of the bed and take time to simply just chat.